Shepherdstown, WV: Peggy McKowen, the Associate Producing Director of the Contemporary American Theater Festival (CATF) at Shepherd University, was honored at the 2018 West Virginia Governor’s Arts Awards. McKowen was named the West Virginia Artist of the Year for her artistic excellence, impact to the state, and her role in growing and strengthening the arts in West Virginia. A native West Virginian, McKowen is a set, lighting, and costume designer for theaters across the country and the globe. Her work has been showcased by numerous publications including The Theatre Experience, American Theatre, The Washington Post, New York Magazine, and The New York Times and seen China, Brazil, Germany, Scotland, Italy, and her artistic home, the Contemporary American Theater Festival in Shepherdstown, West Virginia. McKowen has designed some of the Festival’s most memorable costumes including Everything You Touch and The Wedding Gift. 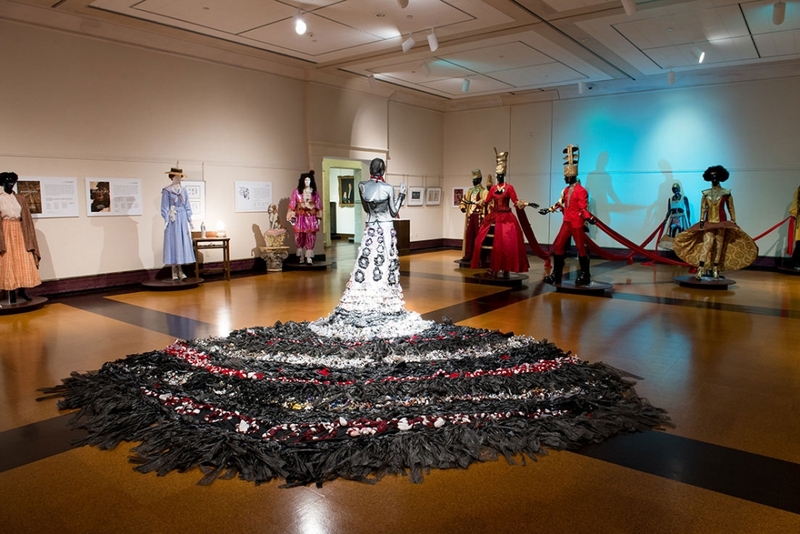 In 2017, these costumes were showcased at the Museum of Fine Arts – Washington County, in the exhibition HIGH DRAMA: Costumes of the Contemporary American Theater Festival. McKowen’s talents are not limited to theatrical design; she is also passionate about education. McKowen created CATF’s HostelYOUTH! program, a theatrical camp for high-school students and was a driving force in Shepherd University’s new Contemporary Theater Studies major.